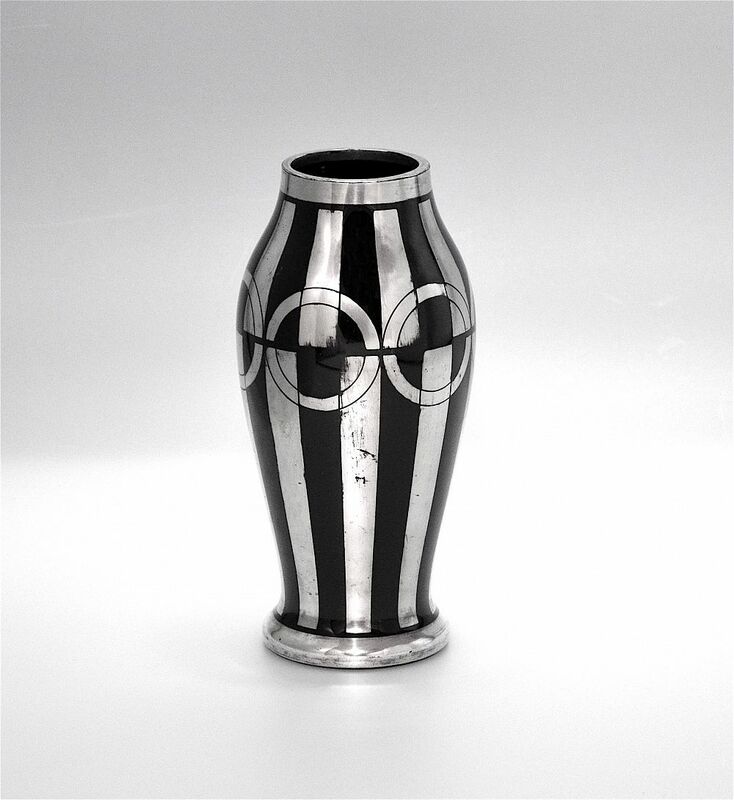 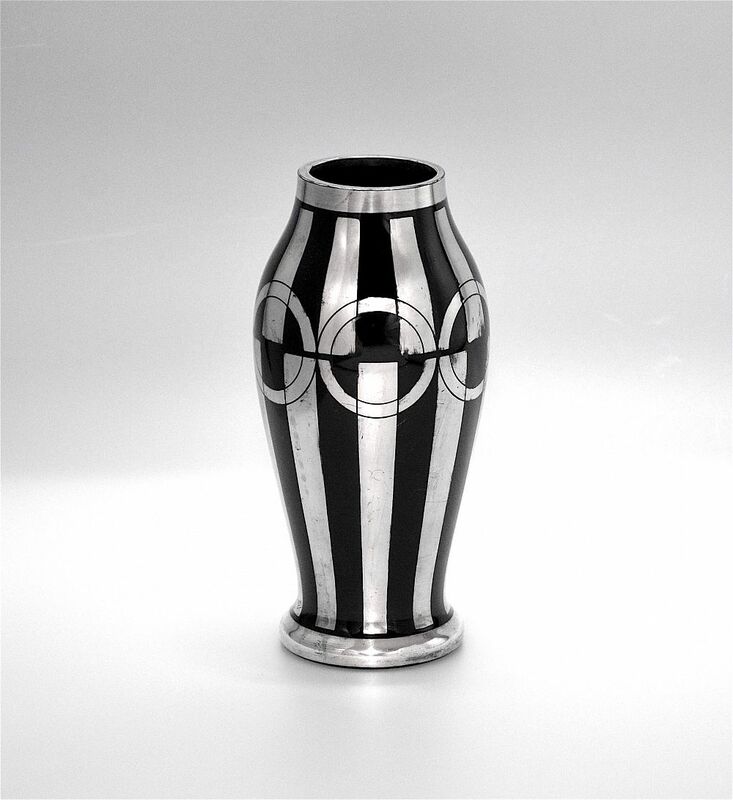 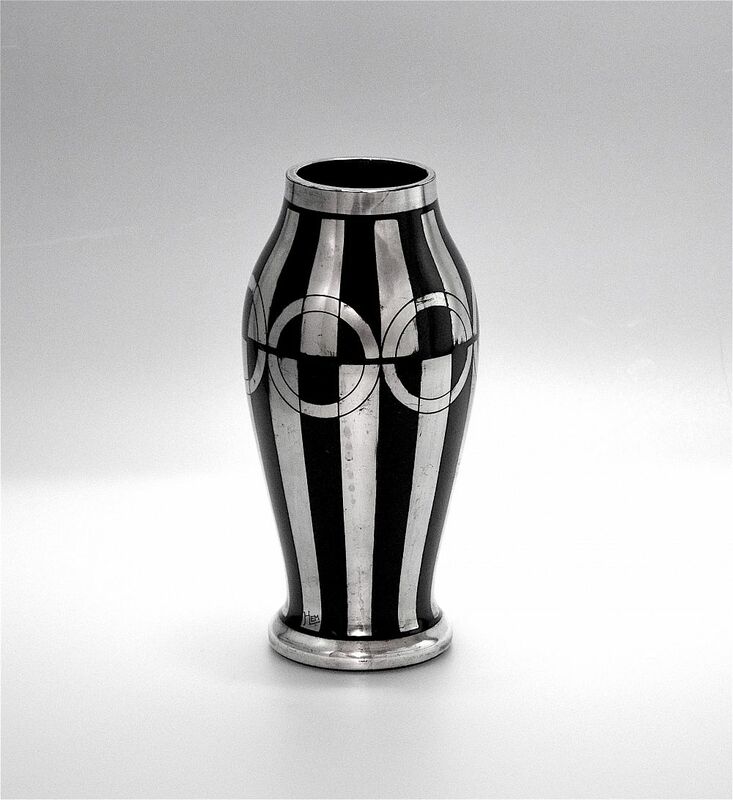 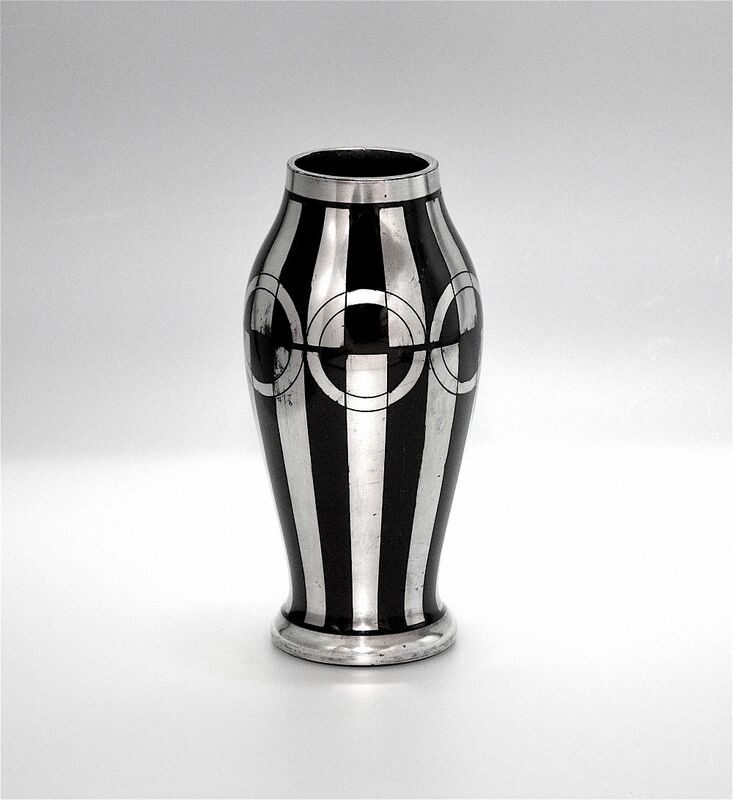 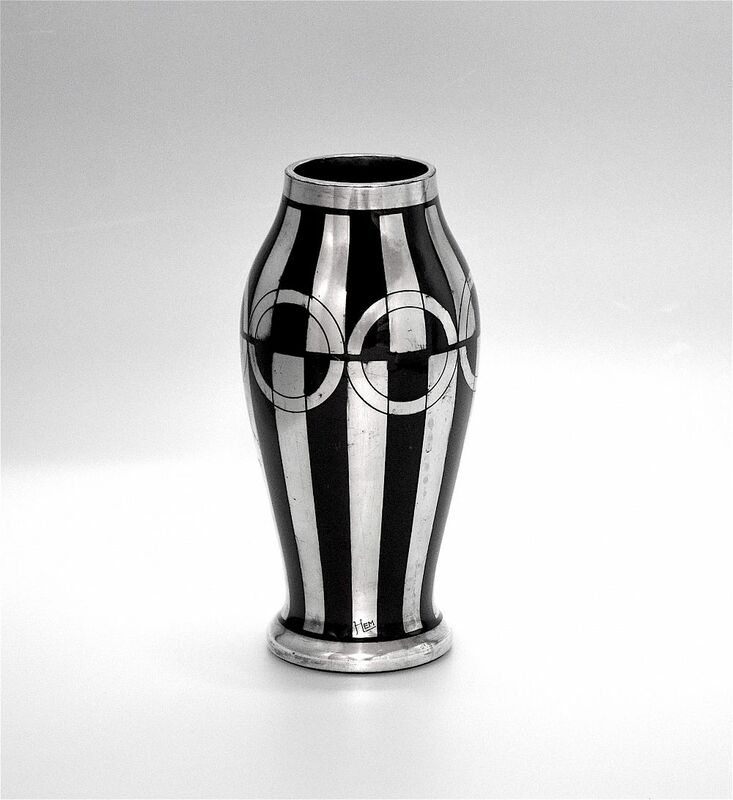 This fantastic vase was made by the Czech company HEM during the Art Deco period. 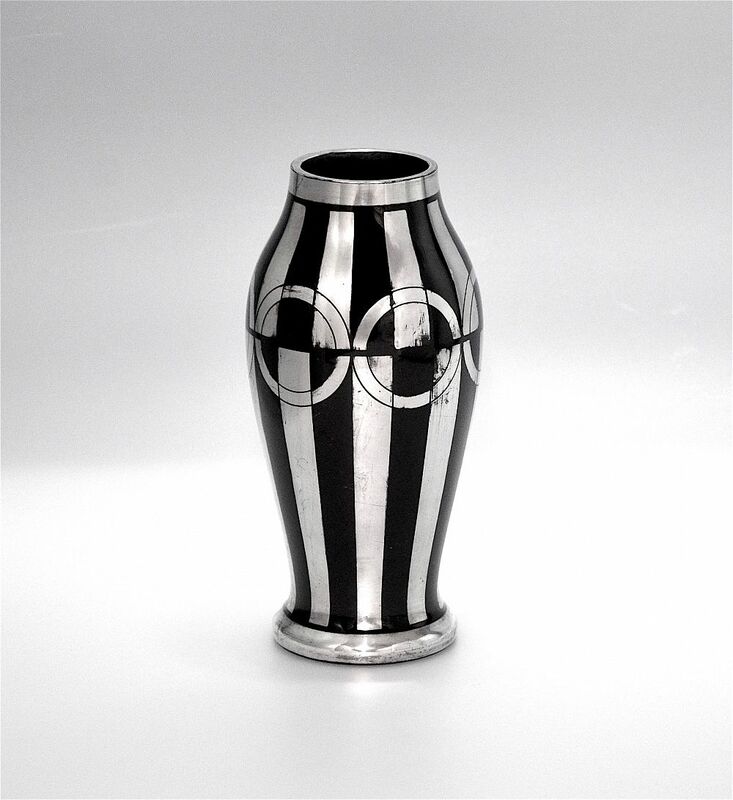 It is black glass with a silver overlay geometric pattern of stripes and circles. 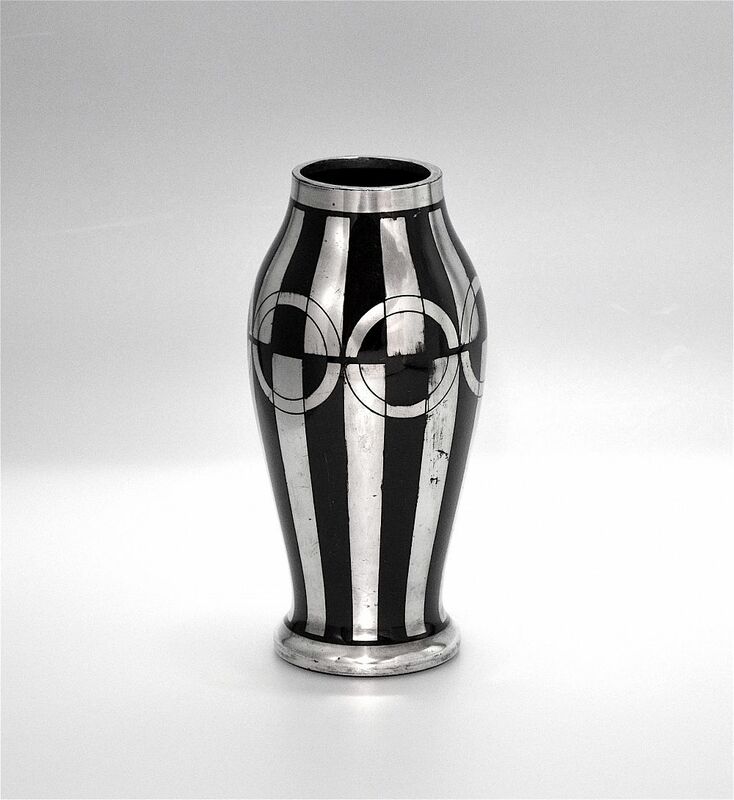 It is signed "HEM".